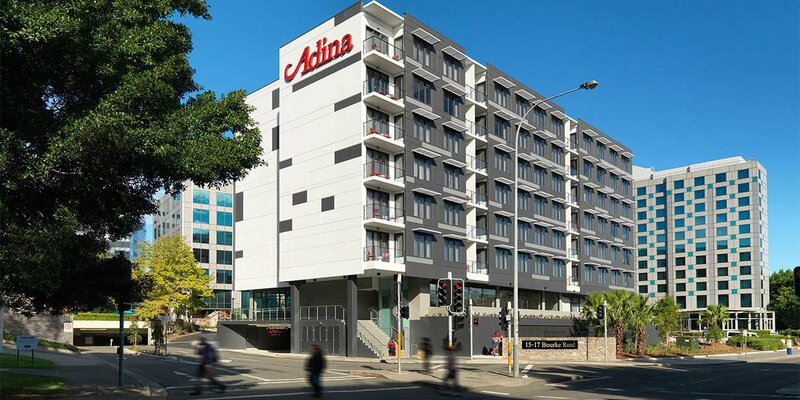 Adina Apartment Hotel Sydney Airport offers spacious apartment living less than two kilometres from Sydney Airport. 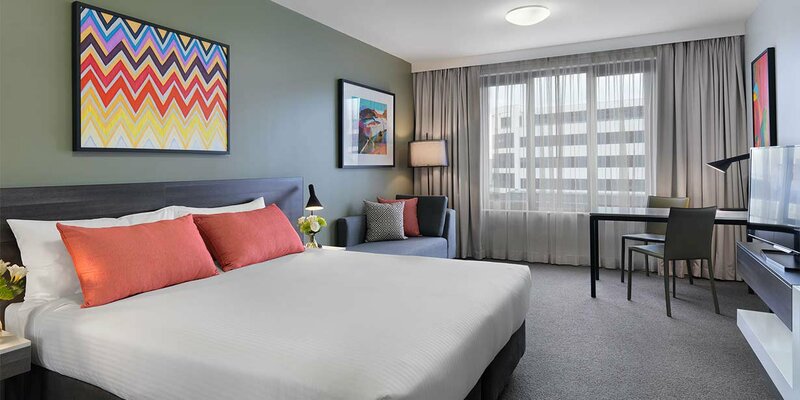 Sydney’s CBD is only a 15 minute train ride from nearby Mascot Station, granting you easy access to destinations such as Darling Harbour, QVB, Chinatown, Pitt Street Mall and iconic Circular Quay. 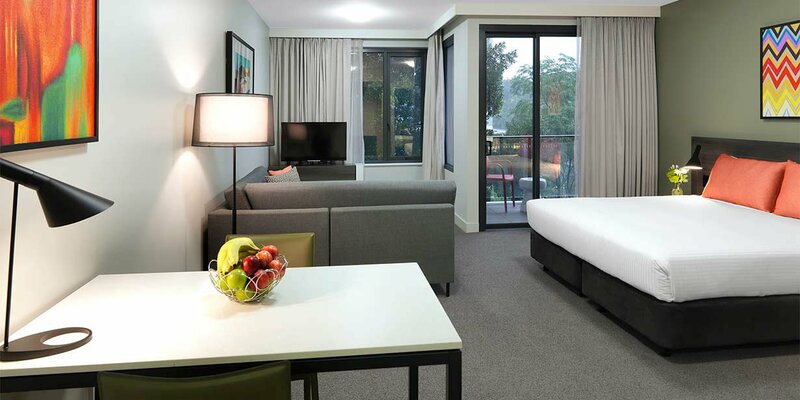 The thriving suburb of Newtown is a quick 15 minute drive away, as is the laidback beachside suburb of Maroubra. 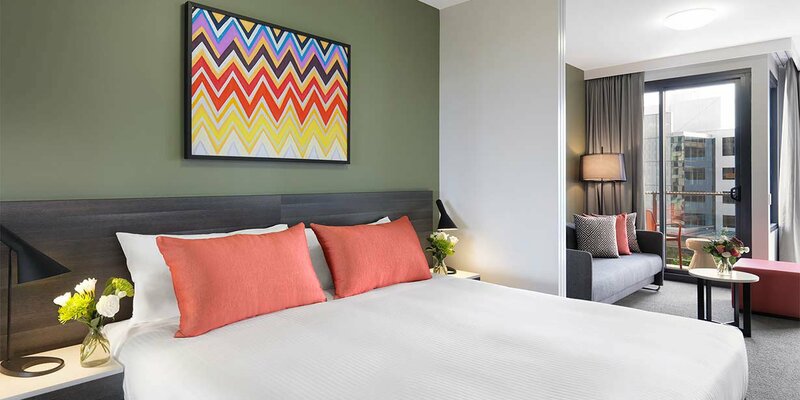 Some of Sydney’s favourite eateries can be found in nearby Alexandria, including Bourke Street Bakery, The Ground of Alexandria, Fratelli Fresh and Three Blue Ducks, giving you plenty of gourmet options for breakfast, lunch and dinner. 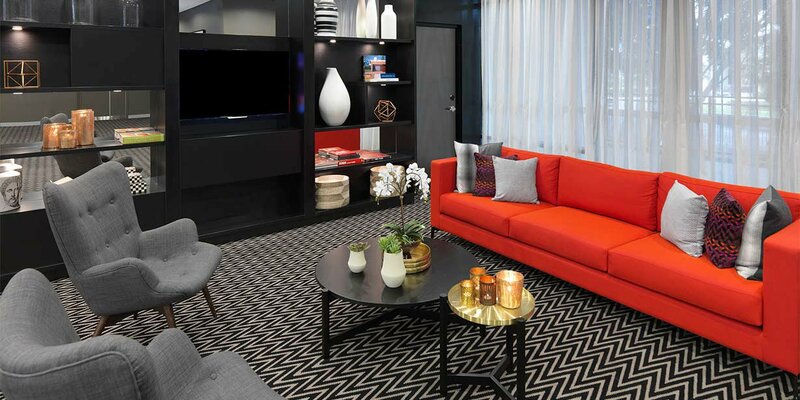 The serviced apartment style hotel offers 123 comfortable, modern apartments across six levels. 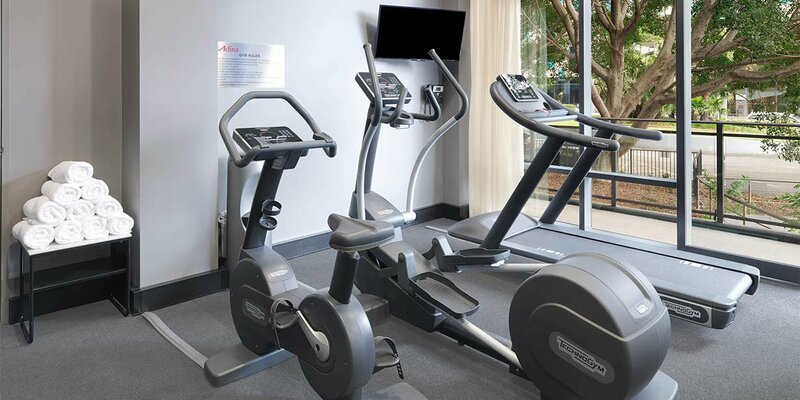 Fully equipped kitchens allow you to enjoy a home cooked meal, spacious floor plans provide plenty of room to stretch out, and laundry facilities help you freshen up. 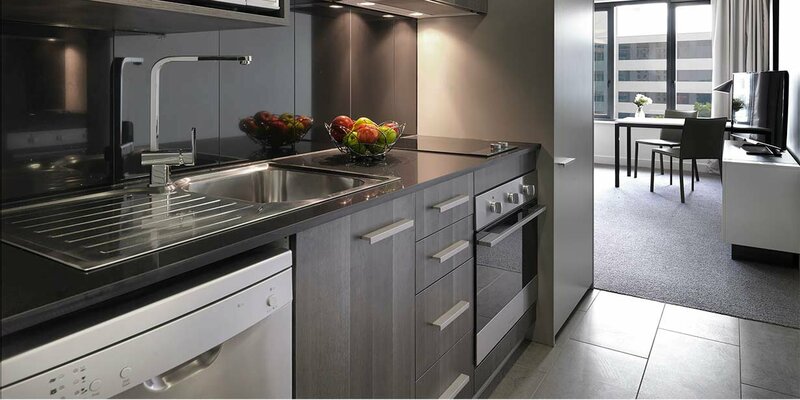 In other words, the apartments are the perfect antidote to long haul domestic or international flights. 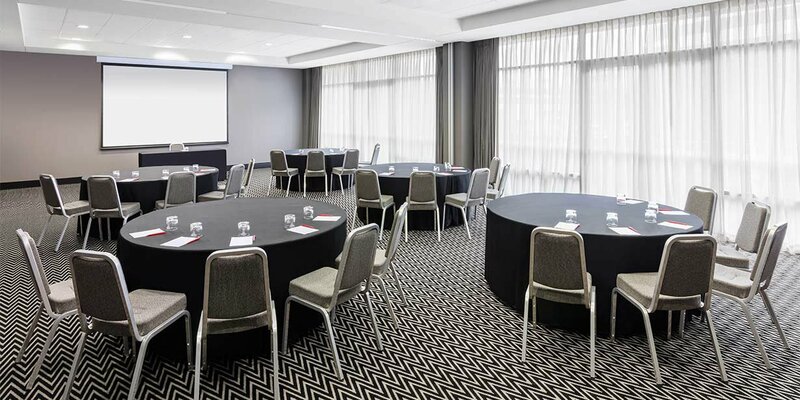 Regardless of whether you’re flying Qantas, Virgin, Jetstar or an international airline, the hotel’s shuttle service will make sure your journey from the terminal to reception is both quick and comfortable. 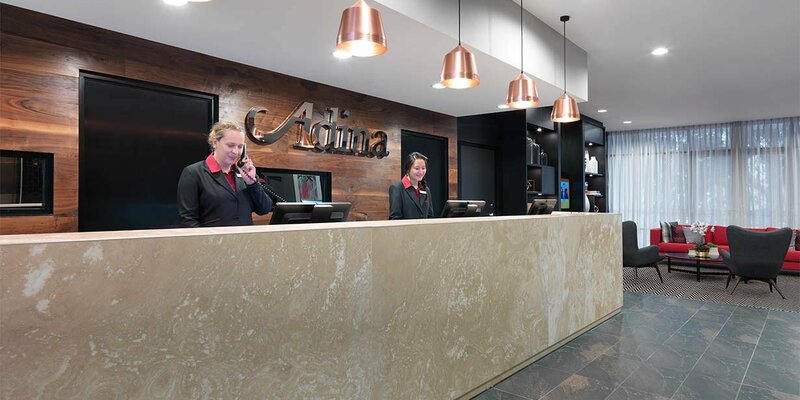 Friendly reception staff are present 24 hours a day to welcome you whenever you arrive and on-site parking and luggage storage are available to ensure your stay is hassle-free. 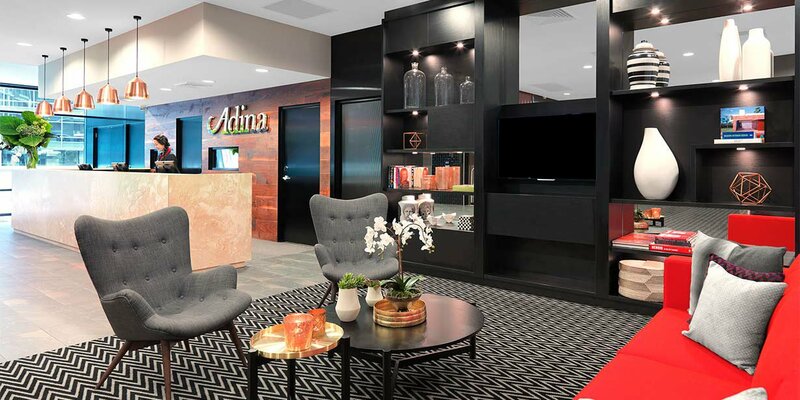 After a big day working or exploring, Adina Apartment Hotel Sydney Airport offers all the comforts of home, just a few minutes from Australia’s busiest airport terminals and some of the best attractions Sydney has to offer.